This concert has been around a bit in the past as it was taken from Germany TV in 1977 but this is the complete concert, including the 3 songs not broadcast and the first 1000 copies come with the concert on a CD (74 minutes). This is really classic Steven Hillage band material. Steve had a fabulous 7 piece band at this time with three keyboard-synth players, drums, bass and rhythm guitar and of course Steve himself.. The set opens up with Salmon Song. 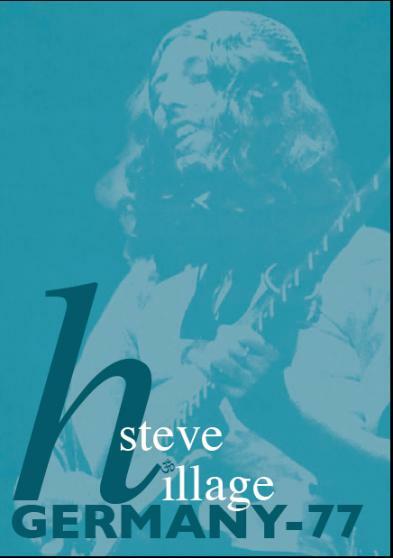 Hurdy Gurdy Glissando is a strange and spacey intro to the real cover song and Steve really plays some great guitar as the track builds up into a long jam before they break into Hurdy Gurdy. Next up is the 14 minute long Solar Musick suite from Fish Rising… Really nice… Now they switch and go to the Lunar Musick Suite from their current album that they are touring on called L. This track really highlights what a great band he had on this long GONG like track.. Cool old spacey analog synths as well.. It’s all too Much (George Harrison song) is played very differently but is great. The Encore is Elektrick Gypsies… The DVD also contains an interview with Steve Hillage. Great stuff..